This was quite a free flowing process. 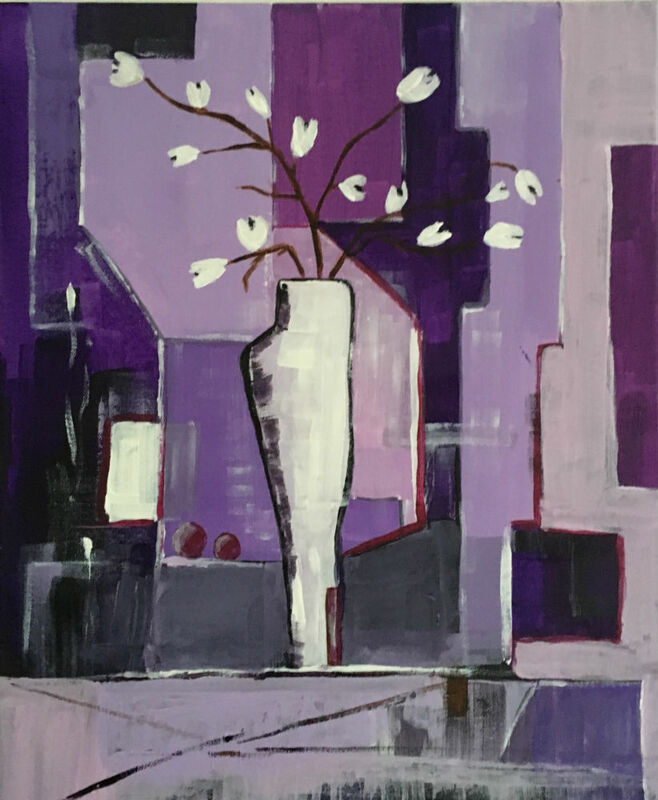 I started off with different areas of purples, pinks and slowly a balance was reached, finishing with the vase and the delicate white flowers. I use professional grade acrylics with high quality colour pigments that have very good to excellent resistance to fading. All of my paintings are finished with two coats of varnish to enhances the intensity, transparency and luminosity of colours and to protect the artwork from UV rays and dust. It comes with a certificate of authenticity and is signed and dated on the back.